Winchester Repeating Arms Company heiress Sarah Winchester was convinced the spirits of those killed by her family's rifles haunted her. Her misguided reasoning led her to build an architectural oddity of a house -- one of the strangest in the United States. 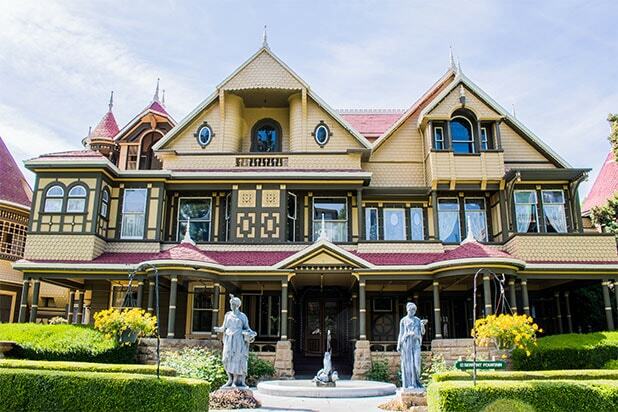 Just in time for Helen Mirren's "Winchester" movie, TheWrap talked to Winchester House historians to unearth 13 things you probably didn't know about the famous structure. Sarah Winchester kept building the house continuously for 38 years, giving the house the record of the longest continuous home construction in the Guinness Book of World Records. The only time construction stopped was briefly after the 1906 earthquake, which trapped her in one of the house's rooms for several hours. 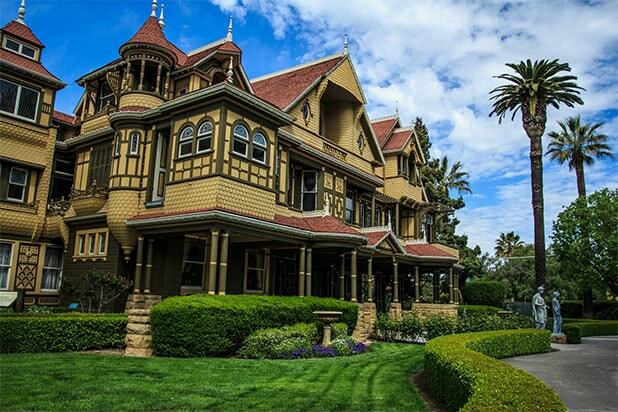 In total, Sarah Winchester spent $5.5 million on the house. After she died in 1922, the house was valued at just $5,000 and was sold at an auction to Thomas Barnett for $135,531.50. Winchester, obsessed with the number 13, built 13 bathrooms — but there was only one shower in the whole house. It takes more than 20,000 gallons of paint to cover the mansion. By the time painters are done, they have to start again. Illusionist Harry Houdini visited the house after Winchester had died to try and dispute the stories of spirits haunting the house. He couldn’t do it. According to the home's historians, several visitors have reported hearing unusual sounds, especially in the third floor corridor (pictured here). Sarah Winchester’s phone number was Main-15, and she was listed in the local phone book as a fruit grower. As mentioned before, Winchester was superstitious and was obsessed with the number 13. There were 13 hooks in the seance room, 13 overflow drain holes in the sink in the Hall of Fires, and 13 parts to her will, which she signed 13 times., etc. There are 10,000 window panes on the house — more than on the Empire State Building, which has roughly 6,500 windows. Sarah Winchester slept in a different bedroom every night, never repeating rooms two nights in a row. The house had 40 bedrooms. 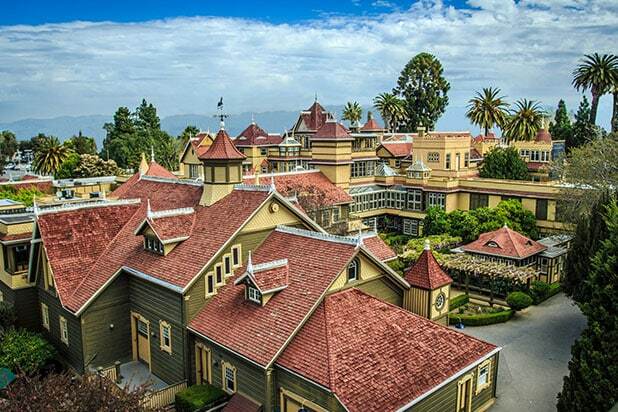 Although the house now stands with more than 161 rooms spanning 24,000 square feet, the house Sarah Winchester originally bought was just an eight-room farmhouse. In 1975, workers discovered a new room inside the house with a lock on the door. It contained two chairs and an early 1900 phonograph speaker. The theory is that Sarah may have forgotten about the room and built around it. A hidden safe was discovered in the ballroom. Found inside were two locks of hair -- of Winchester's deceased daughter and her husband. Sarah Winchester is also known for her innovations. Some historians say Winchester was the first person to use wool for wall insulation, and that she created indoor cranks to open windows.